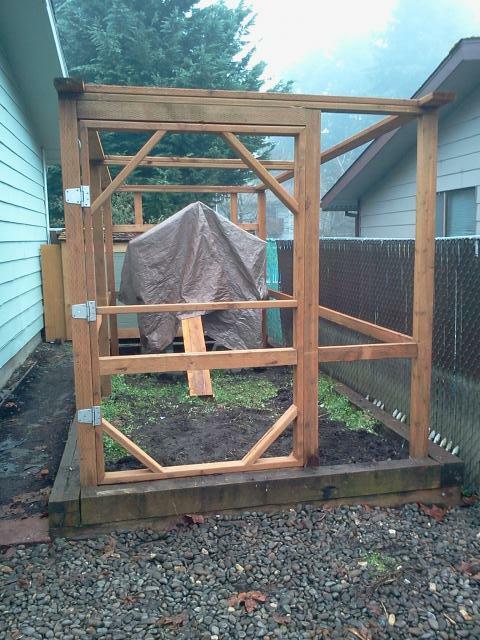 Utilizing an existing raised garden area. 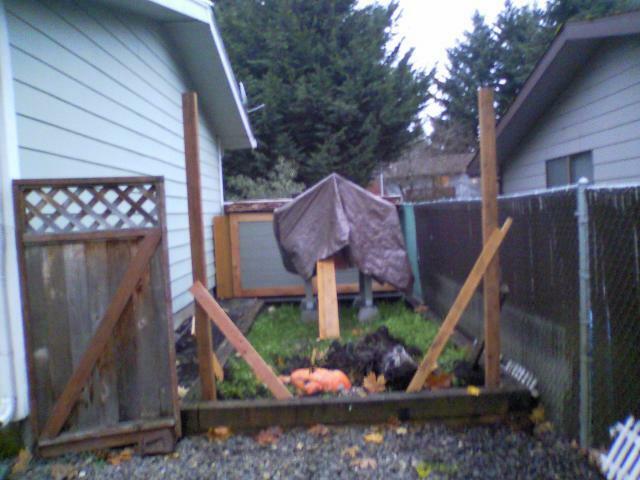 It is not level or square but I will make it work and I am pretty sure the chickens won't know the difference. 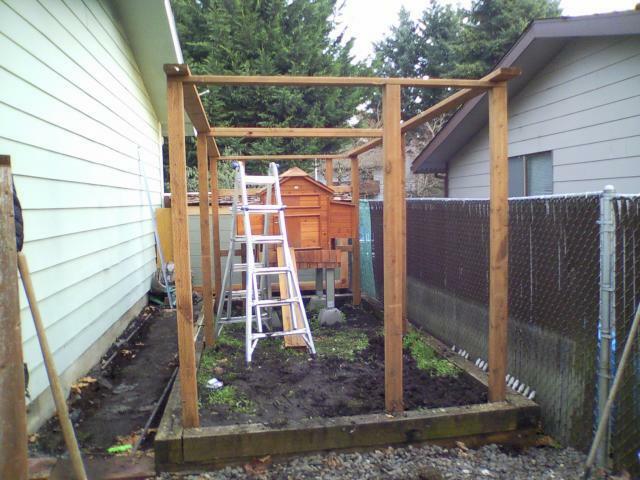 Vertical installed and constructing roof frame. 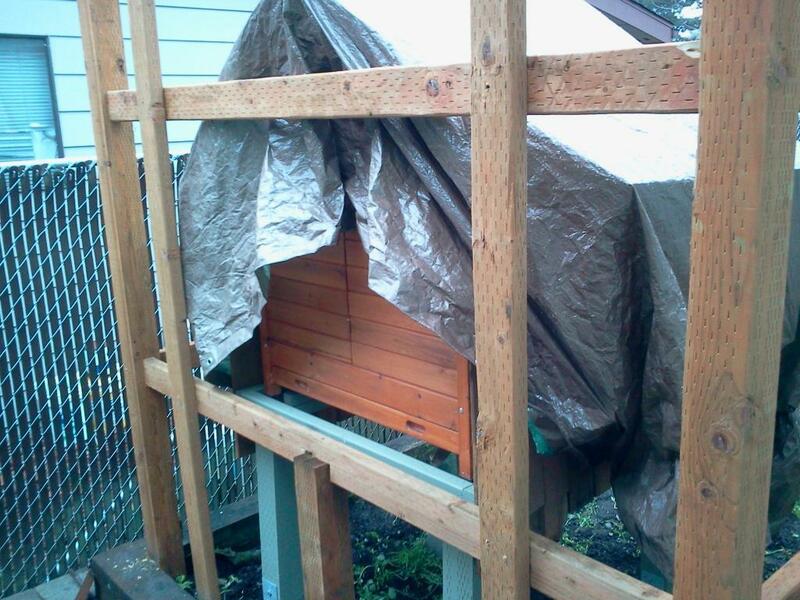 Going to use the fiberglass corrugated panels for the roof. Lower horizontal supports put in that are to be used to secure lower 30" of hardware cloth. 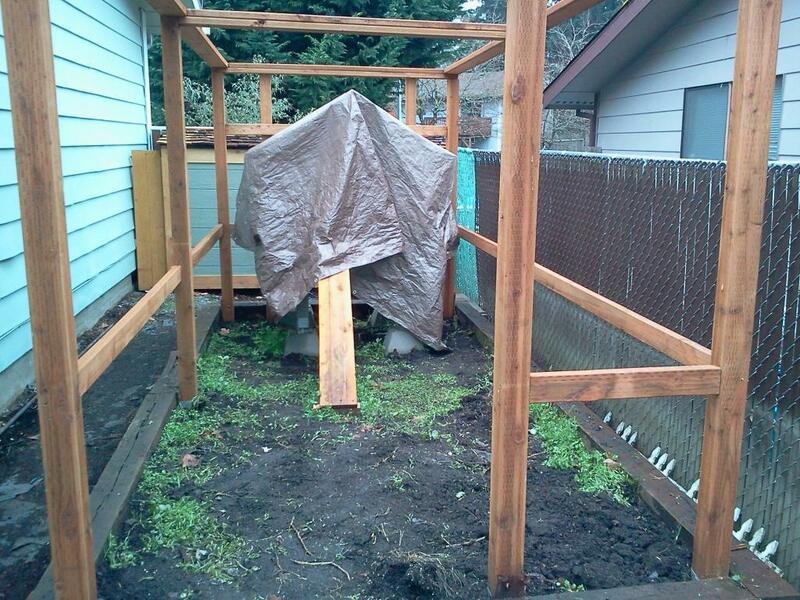 Door will be installed in front area wide enough for wheel barrow and to remove the whole coop if needed. 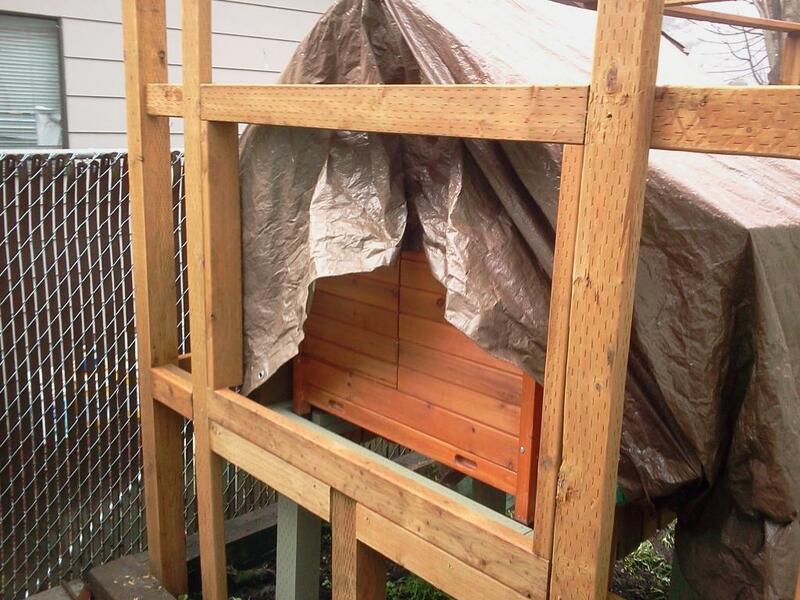 Close up of rear of run where I will add door to access the rear of coop for cleaning.